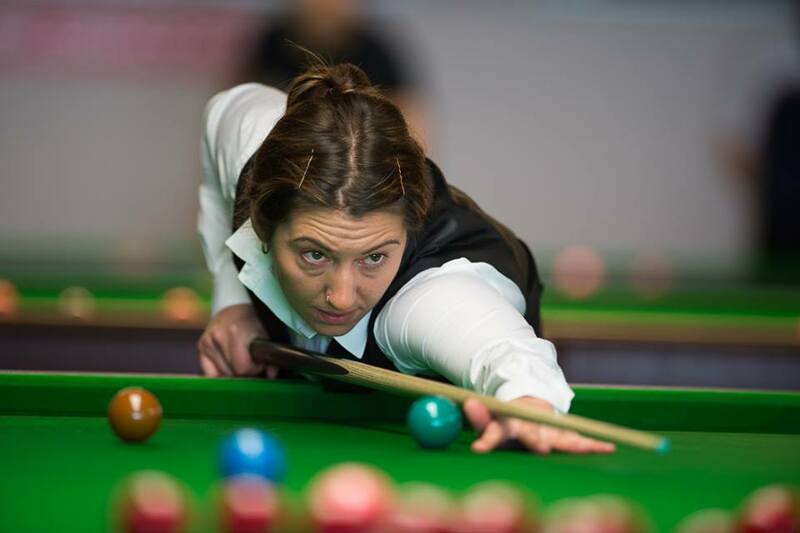 In the final of the Connie Gough Memorial Trophy Bex Granger met Maria Catalano. 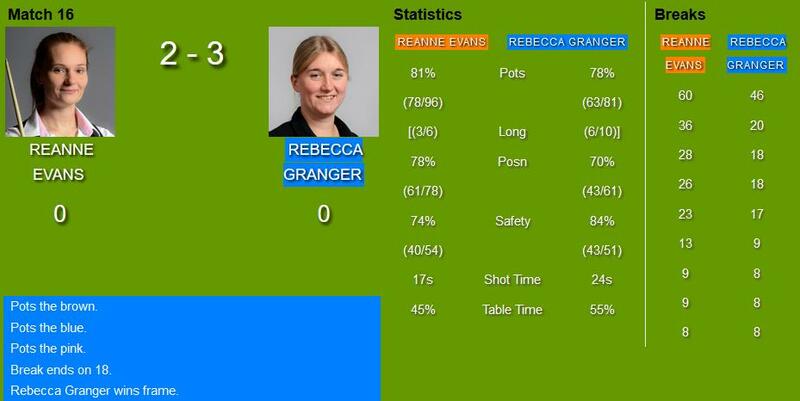 Granger had beaten seven-time champion Reanne Evans 3-2 in the semis, while Catalano won against Laura ‘lal’ Evans 3-1. Five-time CGMT-champion Catalano led the final 3-0, with Granger initially leading frame 1 and 3 respectively. Granger won frames 4 and 5 and thus could briefly hope to win the tournament for the first time. However, Catalano won the sixth frame to a final score of 4-2. Granger stated afterwards that she had been very tired and thus was not able to concentrate too well any more. Yet, her game has improved a lot during the past months and she was very proud of her achievement.